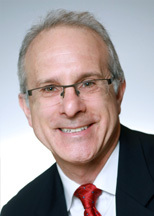 David H. Ganz concentrates his practice on employment counseling and litigation. He advises companies on a wide range of employment issues, including hiring, discipline, reasonable accommodation, and terminations, as well as compliance with federal and state employment laws. He also reviews and drafts employment agreements, separation agreements, employee handbooks, and human resources policies. His litigation practice involves representing management in employment-related matters, including claims involving discrimination, sexual harassment, wrongful discharge, retaliation, and breach of employment contracts. Mr. Ganz handles employment litigation in state and federal courts (trial and appellate) in New Jersey and New York, as well as before administrative agencies, including the Equal Employment Opportunity Commission, the New Jersey Division on Civil Rights, and the New York State Division of Human Rights. Mr. Ganz has represented corporate clients in a wide range of industries, including manufacturing, retail, healthcare, banking and financial services, real estate, hospitality, telecommunications, technology, food and beverage, and entertainment/media. Mr. Ganz has authored numerous articles on employment-related subjects. His work has appeared in a number of print and on-line publications, including the National Law Review, the New Jersey Law Journal, New Jersey Lawyer, New Jersey Labor & Employment Law Quarterly, The Metropolitan Corporate Counsel, the National Association of Minority & Women Owned Law Firms Newsletter, Employment Law Strategist, Personnel Law Update, and the DRI – The Voice of the Defense Bar’s The Job Description.